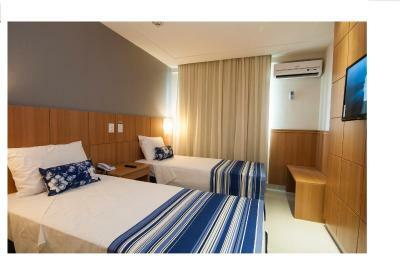 Lock in a great price for Hotel Atlântico Rio – rated 8.3 by recent guests! Looks great, lots of options but not good quality. 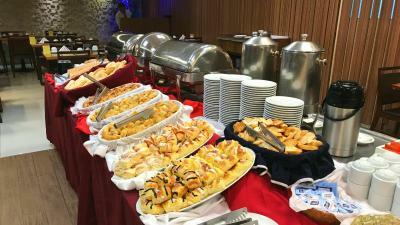 Cheese bread was poorly made, so were the sweet cakes and pastries. I would prefer less options but better prepared. 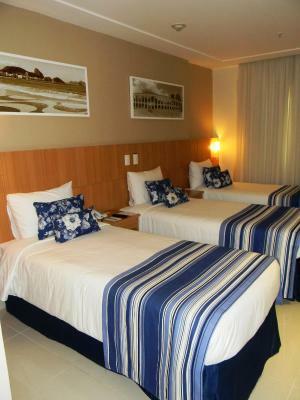 Overall it was a very clean place (minus the ham towels), the staff spoke english and spanish which is rare in Brazil and the cost was low given the fact we went on carnaval. 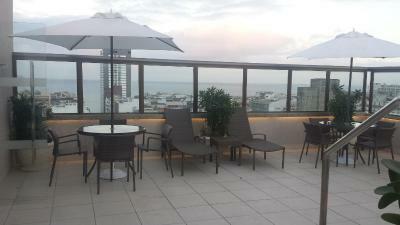 The location is great, in a safer area, near the beach and the metro station. 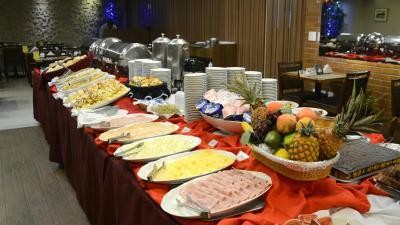 The fruit at breakfast was nice, and the variation in breakfast foods is great if you're for a few days. 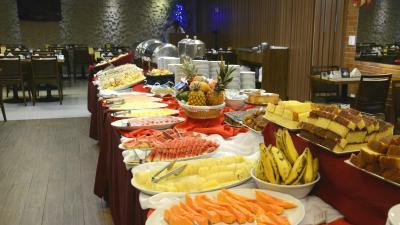 The location, the swimming pool, and the breakfast. 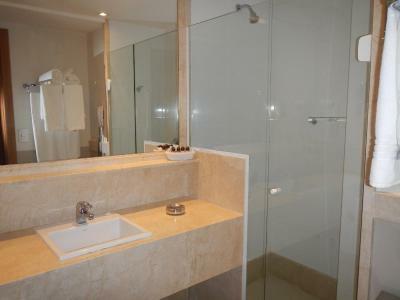 Location is great very easy access to Copacabana and also Metro Cantagalo right by the Hotel. I must mention one of the Receptionist his name is Romulo, great person very helpful and kind. 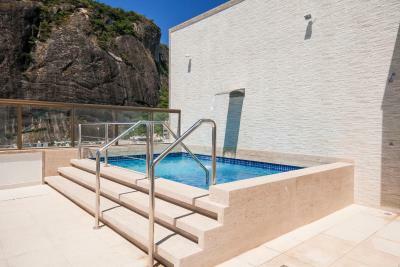 Location, 4 blocks away from Copacabana beach! Close to restaurants and food and smoothies kiosk. Half block away from the metro. Everything else can be reached with Uber súper cheap. Location and staff very friendly! My greetings to Mr Jacson and the valet team!! It was amazing and awesomely great and my family and I will visit there again when possible. 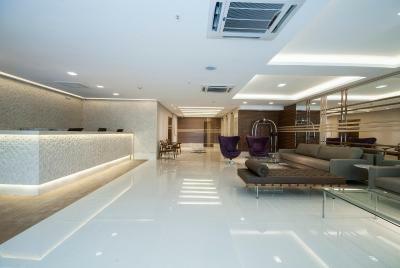 Hotel Atlântico Rio This rating is a reflection of how the property compares to the industry standard when it comes to price, facilities and services available. It's based on a self-evaluation by the property. Use this rating to help choose your stay! One of our top picks in Rio de Janeiro.Set 1,650 feet from Rio de Janeiro’s famous and trendy Copacabana Beach, the 4-star Hotel Atlântico Rio offers an outdoor pool and free daily breakfast. 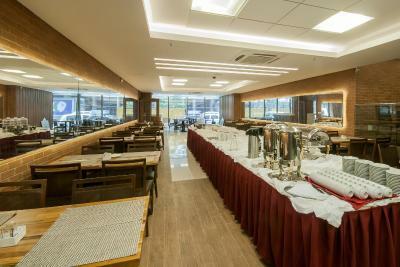 Boasting a restaurant and privileged location, guests can also find dining and lunch options within a short walk. Each room features contemporary décor and comes equipped with air conditioning, a 32" flat-screen TV with cable channels and a mini-bar. Room service can be ordered. Hotel facilities also include a bar, which serves exotic drinks and cocktails. Bikes can be rented on a station nearby. 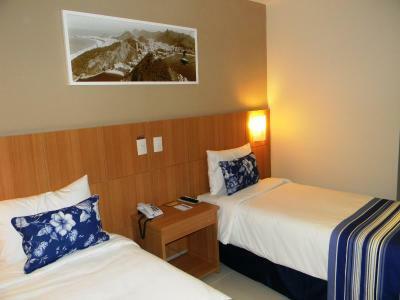 Atlantico Rio is a 250 feet from Cantagalo metro station, and 2.2 mi from Lagoa Stadium. Santos Dumont Airport is 7.1 mi away, while Galeão International Airport is at a distance of 16 mi. 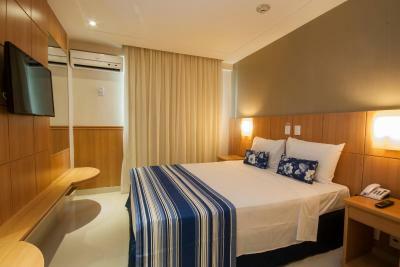 When would you like to stay at Hotel Atlântico Rio? 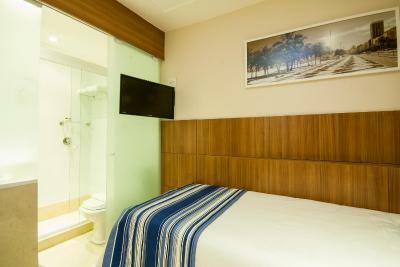 With 17 square yards, this twin room features air conditioning, a flat-screen TV and mini-bar. 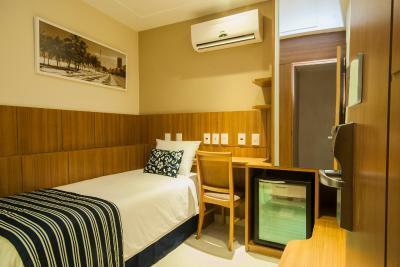 This double room features air conditioning, a flat-screen TV and mini-bar. 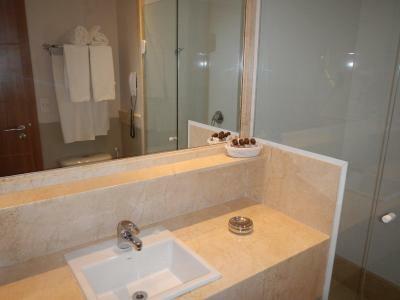 This triple room features air conditioning, a flat-screen TV and mini-bar. This twin room features air conditioning, a flat-screen TV and mini-bar. 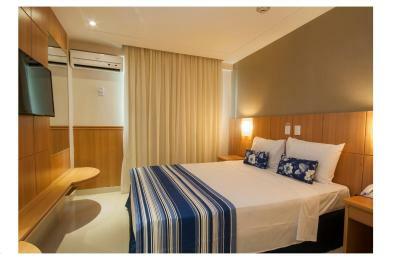 This double room features air conditioning, a TV with cable channels and mini-bar. 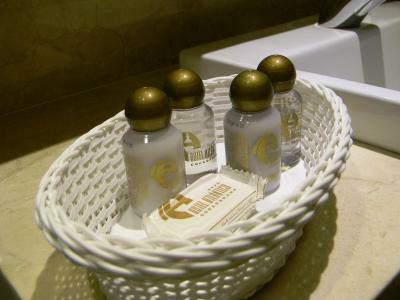 Free toiletries are provided. This single room has a mini-bar, air conditioning and a TV with cable channels. 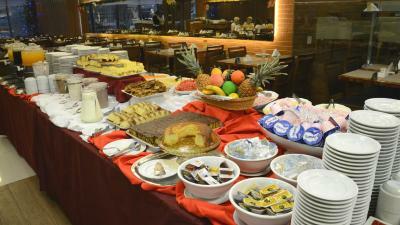 House Rules Hotel Atlântico Rio takes special requests – add in the next step! Hotel Atlântico Rio accepts these cards and reserves the right to temporarily hold an amount prior to arrival. 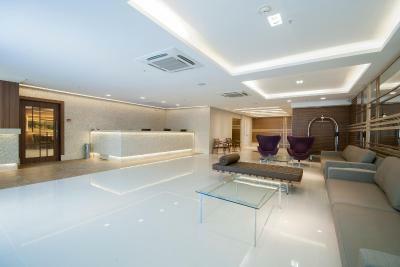 Please note that the property will charge the pre-payment 48 hours before the check in. Please note, private parking is subject to availability and charges apply. We have a big problem with air condition, we had to bet a tour throught 4 room by one day, then we find the room with right air condition. It was withiut any compensation. It doesn't correspond 4 stars hotel indicated on internet. The room was small. 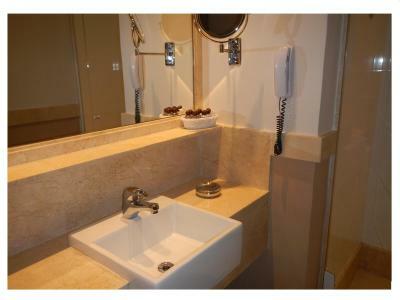 Each time taking a shower the water was leaking on the floor- isolation is old. We had to put towels on the floor all the time to keep it dry. Elevator- just 3 for big hotel. It takes a lot of time to get in to it at busy morning hours..and not only. Location. 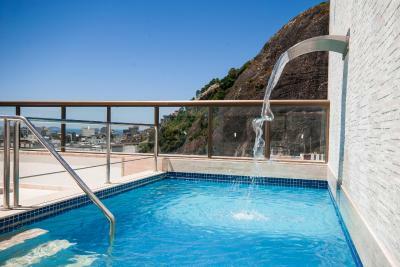 It is very close to Copacabana beach as well as metro. Super convenient if you want to see a lot in Rio. Staff is very helpful and friendly. Brekkie was sensational. I also liked how the Hotel looked after our bags and let us hang around the lobby while waiting for our connecting bus. 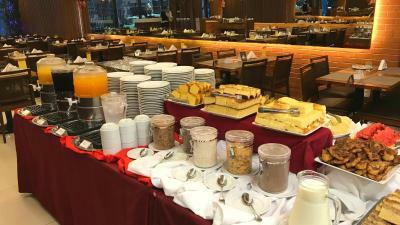 Cheese bread, cakes and sweeties. Better juices. I think the towels were supposed to be white, nowadays they're gray. The bed is not comfortable, the walls could use painting, and I'm pretty sure the room had Bed bugs. The price was really low. No fried eggs only scrambled,breakfast was the basic. Had to pay for ice. The location,good to mingle with the locals and on He doorstep to the metro. The staff at reception are ver unfriendly except for Rumulo.He warm so welcoming and friendly. The pool wasn’t clean, and they gave us “fresh towels” that smelled like ham. I had a really small room (felt like a shoe box) WITHOUT a window. This is an absolute no-go for me cause I feel closed in and cant even have a look outside. Also no Chance for fresh air. I went down to the reception straight when I saw the room and asked for another one with a window. The personel wasnt too friendly, almost spoke no English and didnt give me the feeling they were willing to help. So finally someone was walking with me to another room and this was even worse - there was a window but with a pitch black AC room behind it covered in a metal shack or whatsoever. I was just like oh thank you for the window - are you kidding me? (And they wanted me to pay more for that room) So I took the other room. Ive never experienced something like this and I woulndt stay there again. Maybe other rooms are better but just the way how they delt with my request was unbelievable. 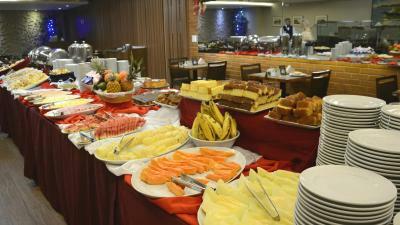 The breakfast was good, especially the fresh fruit, but also, like everywhere in Brazil there are no vegan options. The room was clean and the bed comfortable. The location close to copacabana was the best.